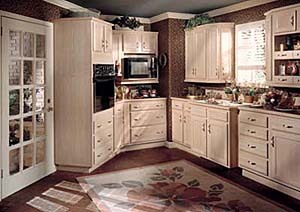 Liberty Kitchens & Design offers professional kitchen remodeling, cabinet replacement and installation to residential homes throughout Baltimore County, Maryland. If you are looking for a kitchen remodeler in Baltimore with years of experience with remodeling kitchens make sure to call or email us today. Services offered include: 3D Kitchen Design Mockups, Kitchen Remodeling, Cabinet Installation, Cabinet Replacement, Countertop Replacement, Custom Bookcases, Bathroom Remodel, Master Bath Remodel, Family Room Remodeling, Custom Cabinets, Basement Remodels, Kitchen Islands and more. We serve homes throughout Randallstown, Owings Mills MD, Reisterstown, Woodlawn, Arbutus, Glyndon, Milford Mill, Pikesville, Towson Maryland, Cockeysville, Timonium, Lutherville and Catonsville MD. If you don’t see your city listed, please call or email us to see if our services are available in your area. "Bruce took tremendous initiative in scheduling visits to our home, performing a job scope, preparing a kitchen teardown/rebuild design and submitting a bid. We were quite impressed with Bruce's efforts. His bid was reasonable as well, particularly considering the scope of the project conveyed to Bruce. We did not award a contract to Bruce, only because of significant changing of schedule and timing on our part, which was a shame because I was quite confident in Bruce as a partner. We would very recommend Bruce as a contracting partner with initiative and thoroughness."